Natural History is a great book of rhyming poems by Tom Benson. There are forty-five poems for less than £1, so it’s very good value for money. Within these poems there are messages to mankind about how the world’s resources are being wasted and how we need to treat animals better. The reader can pick up factual information from many of the poems, e.g. in ‘Big Cats 1 – Cheetah. In the poem ‘Fox Cub Toddler’ a narrative style is used about a young cub, who goes exploring, without his mother’s permission. He doesn’t seem to learn the lesson. 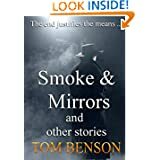 There’s a wonderful variety of subjects: poems about diving or climbing, to poems about The Lake District, The Arctic, The Desert or The Jungle. If you like the ‘Natural World’, then you are in for a real treat with these poems. This anthology of thirty poems has the feel good factor. All the poetry is in quatrains, with clever line length shape. 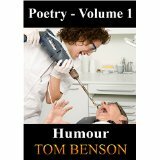 Each poem will bring a smile to your face, and is accessible to everyone. You won’t go away and think I don’t know what that’s about; having said that, each poem relies on the power of words, and is skilfully crafted. Some are a touch risqué whilst others rely on a play on words or innuendo. There is a variety of subject matter, ranging from sci-fi, a riddle and a poem with a message and much more. If I’m being a little vague it’s because I don’t want to ruin your delight in reading this anthology by putting in spoilers here. The book is well set out with links from the index to the individual poems and is excellent value for money.